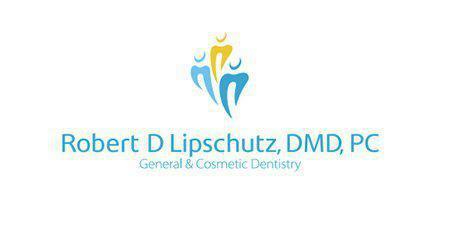 Dr. Robert Lipschutz, DMD, is a skilled and experienced General and Cosmetic Dentist helping patients in Manhattan and throughout the Greater New York City metro region obtain the highest-quality care for their dental and oral health needs. As an active member of the American Dental Association, Dr. Lipschutz has extensive experience using advanced techniques for the safe and effective treatment of a wide range of oral health issues, including routine checkups and exams, root canal therapy, gum disease treatment and prevention, dental implants, as well as cosmetic dentistry treatments like veneers and crowns, Invisalign® orthodontics, and teeth whitening procedures to help patients enjoy healthier and more attractive smiles at every age. After completing his bachelor of science degree at the University of Illinois at Urbana-Champaign, Dr. Lipschutz received his doctorate in dental medicine from the University of Pennsylvania School of Dental Medicine in his hometown of Philadelphia, followed by a general practice residency at Metropolitan Hospital Center and Coler Memorial Hospital, and a fellowship in general dentistry at Columbia University. As an Ivy League-educated dentist, Dr. Lipschutz is dedicated to helping his patients understand their oral health issues as well as the treatment options that are available to help them enjoy healthy teeth and gums. Every treatment plan is carefully designed to ensure each patient receives the most appropriate care using state-of-the-art techniques and technology for optimal results. During the initial consultation appointment and throughout every phase of care, Dr. Lipschutz, and his staff work to help every patient feel confident about their care and their outcome. In addition to his membership in the ADA, Dr. Lipschutz participates in continuing education activities to learn new and emerging approaches to care and maintains active memberships in the New York State Dental Association, the New York County Dental Society and the Japanese Medical Society of America. Dr. Lipschutz welcomes the opportunity to provide care to new patients, and the practice accepts most major forms of dental insurance.